Let me tell you right off the bat, writing and publishing a book is a lot easier than you think. In September of 2014, when I became a Duct Tape Marketing Certified Consultant, I provided a list of ten reasons why joining the Duct Tape Marketing Consultant network is a no-brainer for digital agencies. On top of all those reasons, I had no idea that the network would lead me to becoming a published author after just a few short months of joining. The backdrop to my story is that I attended the Duct Tape Marketing Annual Summit last year. Shortly after that amazing three-day event, fellow marketing consultant Ray Perry of MarketBlazer, Inc. approached me to write a book with three other Duct Tape Marketing Consultants. Last year, Ray and another group of DTM Consultants published a great book on referral marketing called Renewable Referrals, and that book became an Amazon Best Seller! 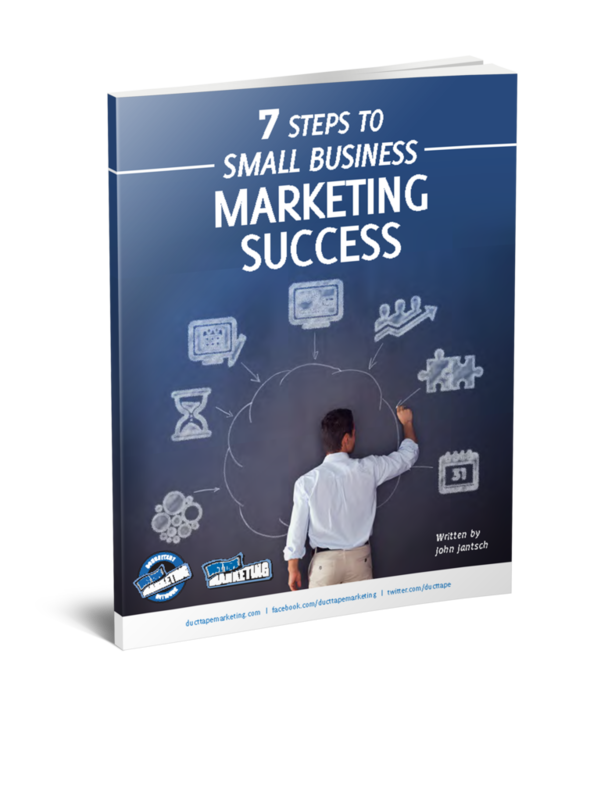 Fast-forward six months, now I am part of an amazing team of fellow consultants that has launched The Small Business Owner’s Guide To Local Lead Generation – another book that is well on its way to Amazon Best Seller status. Aside from an awesome foreword written by John Jantsch, we have an incredible list of endorsements from the likes of BNI founder Dr. Ivan Misner, Copyblogger’s Brian Clark, New York Times bestselling author Michael Port, and many more thought leaders and tech company CEOs. Online Trust. Getting thought leaders in your niche takes some effort and creativity, but it’s easier than you think (assuming you have good content). Asking an influencer to provide a quote for a book about their niche reinforces their position as a leader in that niche – so in many cases they will be motivated to provide a book quote. Once you have multiple industry authorities blessing your book, all of your content suddenly becomes more credible, trustworthy and interesting. Organic SEO. If you launch a book effectively, you will also create a standalone book website. All of the marketing that you do should lead people back to the book site, the same way we doing now in this guest blog post. 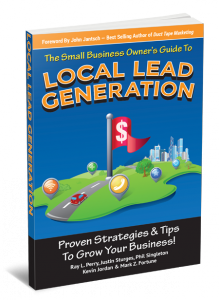 Our book site already ranks highly on Google for “local lead generation books” and is quickly climbing for more competitive generic terms such as “local lead generation”. Social Media Exposure. Book launches, by their very nature, create buzz. With careful and strategic coordination, you can dramatically amplify your social media exposure by leveraging your own network, as well as those that have supported your book. From tagging tweets and posts, to simply notifying business chambers and local media, you will find many venues and organizations that will be motivated to share your story on social media. Conversion Optimization. If you are a regular consumer of John Jantsch’s content, you already know that creating great content in a way that draws ideal customers into your digital channel is a core Duct Tape Marketing principle. By promoting and offering an actual book on your website, you now have a killer conversion hook that will convert more first-time web visitors into loyal content consumers, and thus on the path towards conversion. The above list is really just the tip of the iceberg in terms of benefits. Perhaps one of my favorites is that this book has become my new business card. There is nothing like walking into a sales meeting and dropping a book on the table with credible endorsements. As a busy agency owner, I really have to be careful how I invest my most treasured asset: time. So when I tell you that book publishing has become a new cornerstone of my own inbound marketing strategy, I am not saying it lightly. Yet, I have already signed on for another book project and will publish my own book this fall titled: New SEO: Search Engine Optimization For Web Designers & Small Business Owners. Trust me, if I can write a book, you can too. Phil Singleton owns and operates Kansas City Web Design, where he and his team provide custom WordPress and Magento web development, and Kansas City SEO, where he provides search engine optimization services to companies with hundreds of thousands in revenues to hundreds of millions. To get more SEO and Internet marketing tips and advice, and learn more about Phil’s book writing adventures, follow him on Google+.